Sources for Francis Thornton Jr.
1 NEHGS NEXUS: New England Across the United States, 1987, Vol. 4, pp. 26-27, New England Historic Genealogical Society (Online Database). 2 Davis, Lottie Wright, Records of Lewis, Meriwether and Kindred Families; Genealogical Records of Minor, Davis, . . ., Columbia, MO: Artcraft Press (1951), 154, 155. 3 Roberts, Gary Boyd, Notable Kin, Volume 1 , Santa Clarita, California: Carl Boyer, 3rd (1998), 6. 4 Stanard, W. G., "The Thornton Family", The William and Mary Quarterly, Vol. 4, No. 2 (October 1895), 91-92, Google Books (Digital Library). 5 Stanard, W. G., "The Thornton Family", The William and Mary Quarterly, Vol. 4, No. 3 (January 1896), 157, Google Books (Digital Library). 6 Tyler, Lyon G., ed, William and Mary College Quarterly Historical Magazine, Vol. 22, Richmond, VA: Whittet & Shepperson (1914), 299. 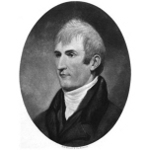 7 Wikipedia, "Meriwether Lewis", (accessed 03/20/2010). 8 Wurts, John S., Magna Charta, New York: Brookfield Publishing Company (1893), 491, Heritage Quest (Digital Library).